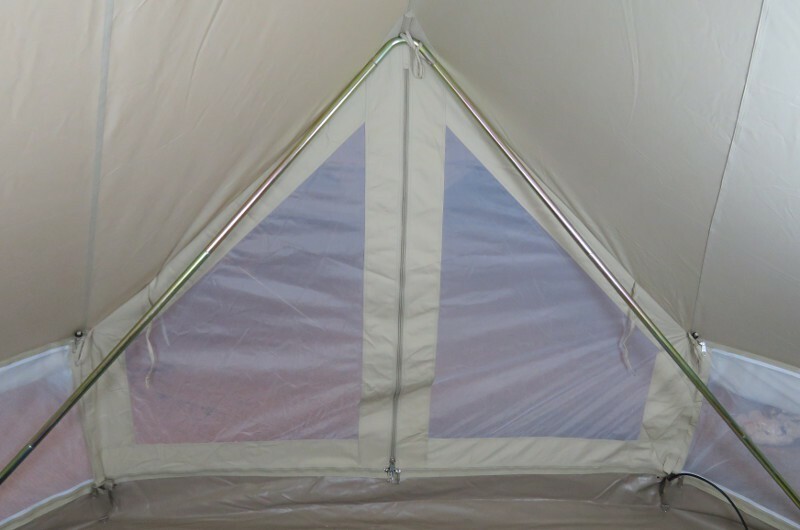 The Emperor 6m Twin Bell Tent, the epitome of Glamping! Nothing beats the 6mEmperor PRO Bell Tent. This is Glamping at it’s most luxurious. Igniting the imagination of guests both young and old. The added A-frame, cross bar and the 3m high ceiling ensure plenty of headroom. 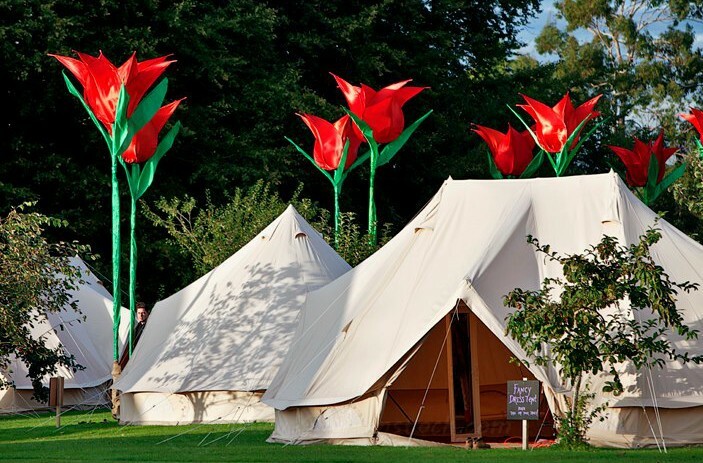 Pitch your Emperor Bell Tent in your garden and ‘wow’ your guests this summer. Or pitch in a secluded area of your land, to create the most romantic bed and breakfast around. Swoon! There is no reason to sacrifice comfort and luxury, enjoy the great experience of outdoors holidays in harmony and contact with nature. Glamping has been gaining momentum across the globe and now it has taken off here in Australia: a fusion of glamour and camping, glamorous camping now commonly referred to as ‘glamping’. The perfect concept for those loving the positive points of camping and the great outdoors lifestyle, whilst enjoying a few of life’s small pleasures. Enjoy the great outdoors in comfort and style. 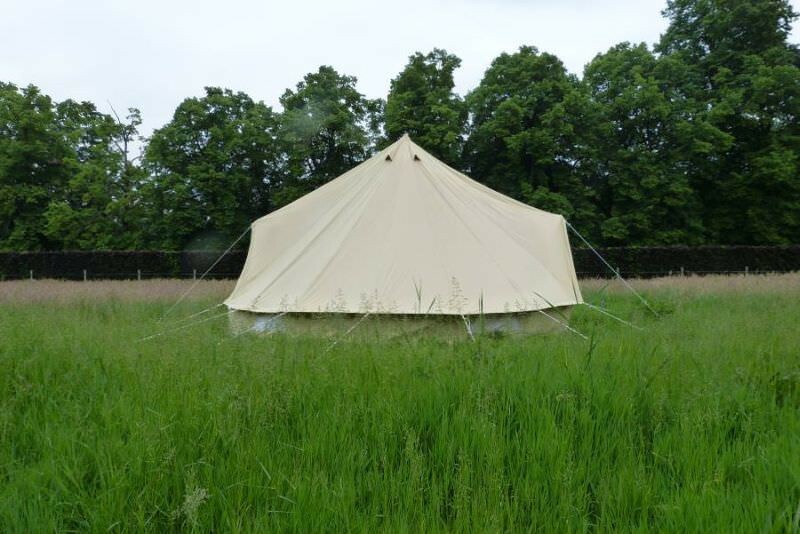 We invite you to try this new concept in our glamorous 6m diameter Emperor Twin Bell Tents. 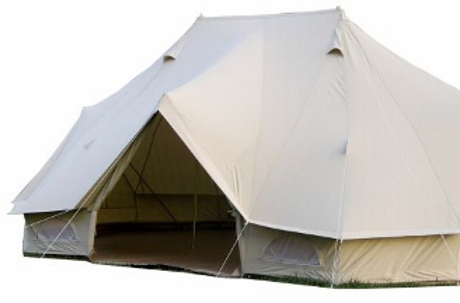 The Emperor 6m Diameter Ultimate PRO Bell Tent has two poles creating a massive tent of 3m high by 6m wide and 4m deep. As with all the tents in our Ultimate PRO range, the Emperor 6m Diameter Bell Tent comes with a heavy duty groundsheet (PVC 650gsm) this still feels soft to the touch whilst being very strong and durable and the added zip that goes all the way round the top of the groundsheet. 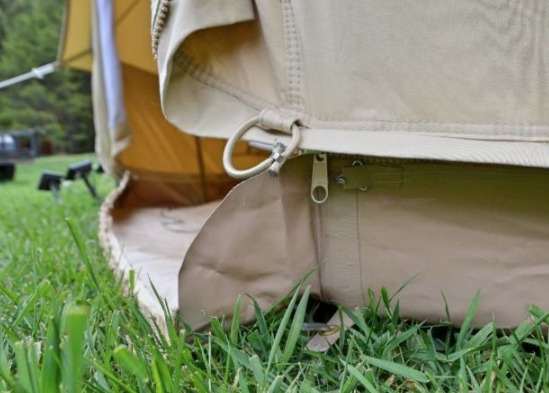 The groundsheet rises 4 inches from the ground ensuring no water will leak into the tent, but still allows the option of rolling up the walls on a sunny afternoon. Heavy duty 100% breathable cotton canvas (360 g/m²). 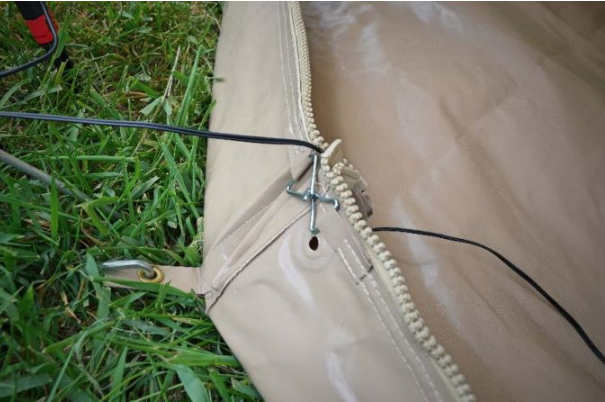 Heavy duty PVC ground sheet attached to the tent with a zipper. Groundsheet PVC weighs 650 g/m². 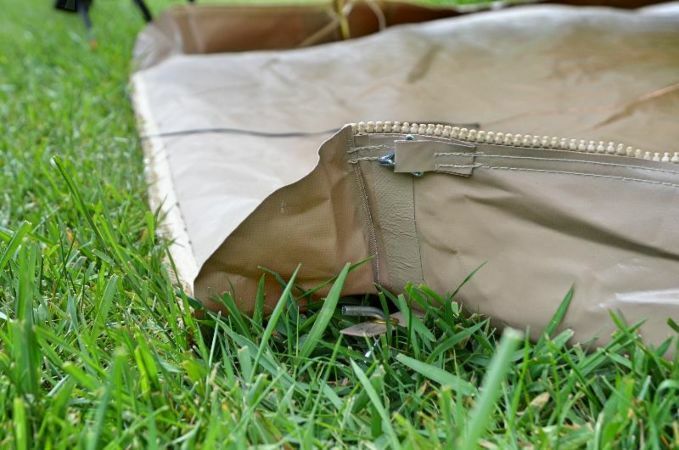 (Zip off ground sheet enables the ground sheet to be unzipped and sides rolled up during the day. 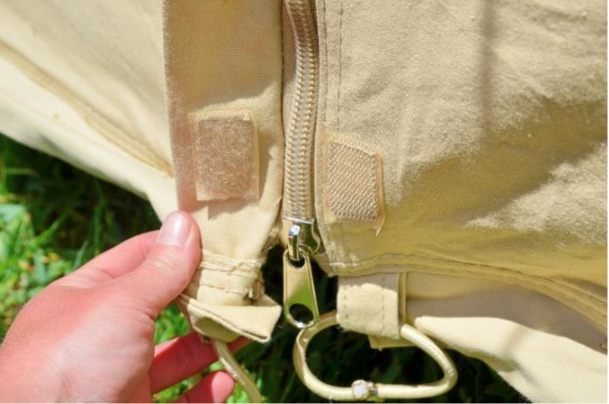 The zip facilitates the re-attachment of the ground sheet and has a protective cover which ensures rain water will not enter between the ground sheet and the tent. This is much harder to achieve with a separate ground sheet). A-frame covered Entrance (178cm/5.84ft high) this creates a porch to stop the rain from coming in. 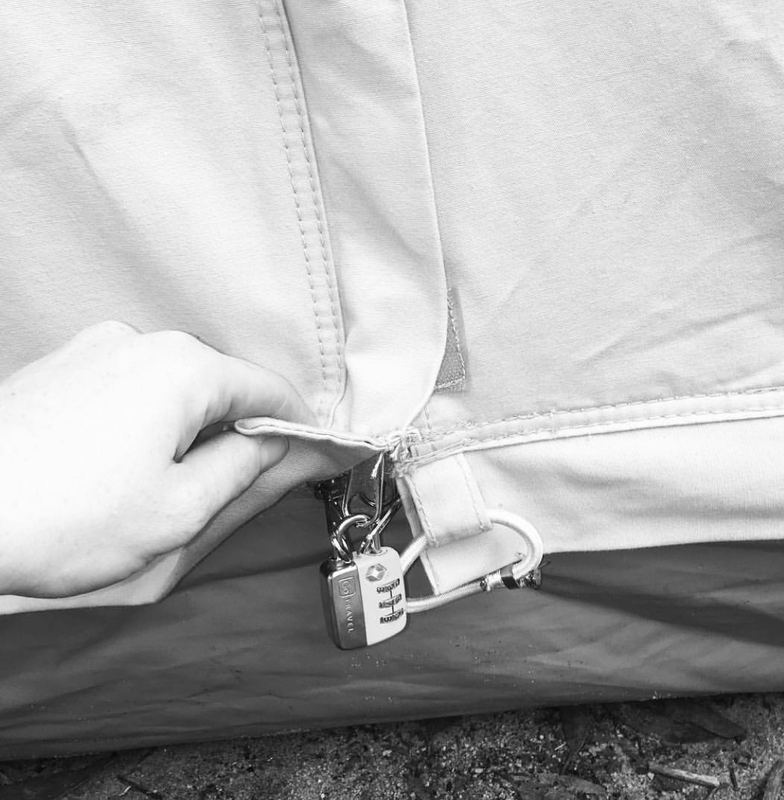 Without this feature the tent is harder to access and more likely to leak along the entrance flap. Our tents are European tested to BS5852 standards. This is the ‘cigarette test’, which shows that the tent will not ignite when burnt by the likes of a cigarette. Canvas is treated to be water and mould resistant using biodegradable products. Can be fitted with the specially designed Sibley/Bell tent stoves. 4 windows complete with integrated mosquito nets. Takes 1-2 people only 15 minutes to pitch. Double stitching and reinforced key points. 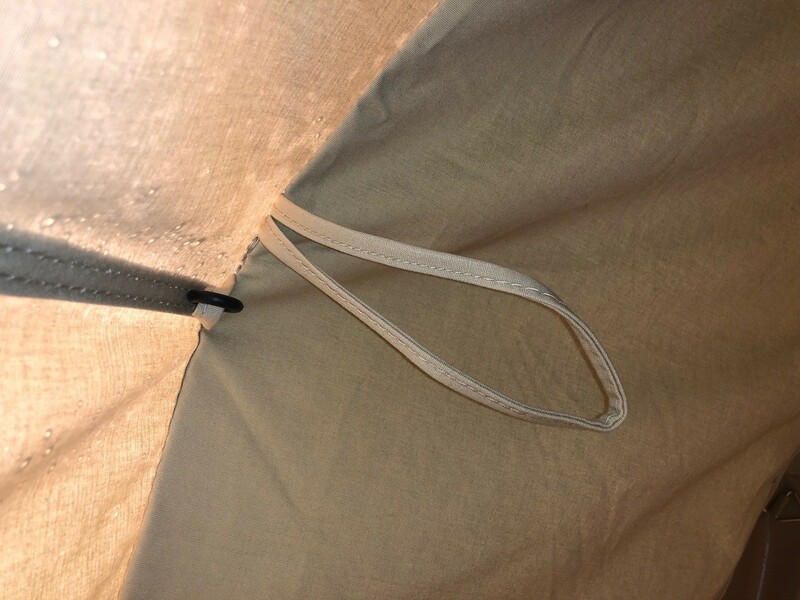 UV coated guy ropes (5 mm) and a storm proof spring loaded steel tent pole (32 mm). All our tents are natural sandstone in colour. They may whiten a little with time. We appreciate the classical nature of these natural canvas tents and do not produce other colours for this reason. Beautifully made, finest quality. 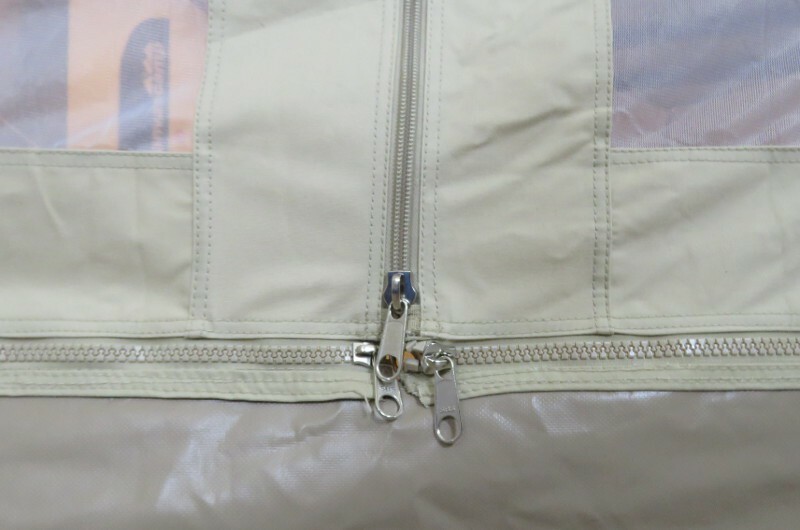 Double stitching all around and reinforced key points. Ultimate tents are suitable for camping all year round.